In Getting Down to Facts, more than 100 leading California and national researchers produced three dozen studies examining a decade of sweeping changes and pressing education issues. 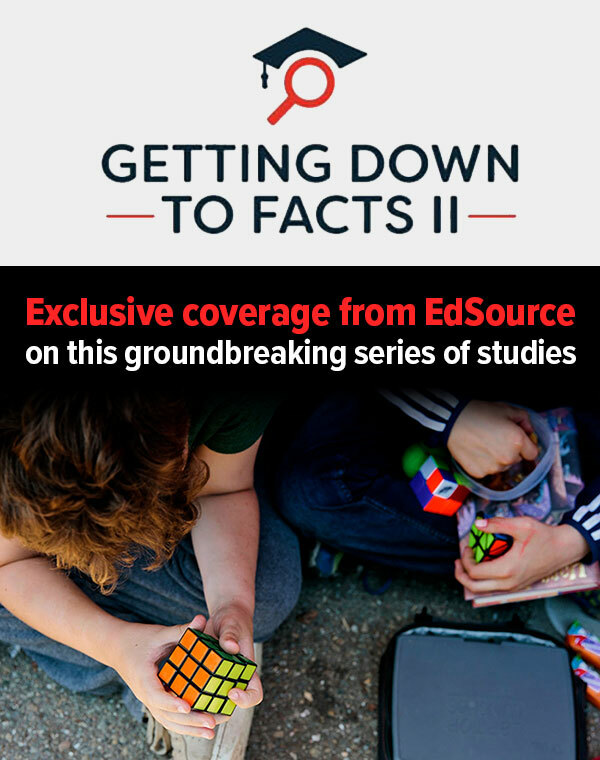 EdSource will track the impact of the reports as state and local leaders continue to transform PreK-12 in California. How are pension costs creating a challenge for school districts? This EdSource video explains why pensions are consuming a growing share of school budgets and what could be done. San Juan Unified is one of the California school districts making investments in its teacher evaluation system. The district adopted a System of Professional Growth in 2016 that focuses on feedback and mentoring of teachers who are being evaluated.